Aspect Envirostat On The Go Sunscreen Lotion SPF 50 with Vitamin E is a chemical sunscreen that provides broad spectrum dry-touch protection. Suitable for facial and body use, Aspect Envirostat On The Go offers 4 hours water-resistant protection. Unlike their physical counterparts, chemical sunscreens cannot be sweated off. Non-greasy. It can be difficult to find a sunscreen that you like and want to use as often as we should. Lightweight and easy to wear, the Aspect Envirostat On The Go sunscreen is able to be worn every day and reapplied as necessary. The Aspect Envirostat SPF 50 is a chemical sunscreen without the nasties. The sun protection from the Aspect Envirostat formula shields your skin from a broad spectrum of UV rays. The non-greasy qualities of this sunscreen cannot be beaten by other non-chemical solutions you have seen. While you can reapply this sunscreen as needed or every 2 hours, it does offer up to four hours of sun protection. This protection not only lasts, but it is also water-resistant. Your day in the sun does not have to end just because you got in the water when your skin is protected by Aspect Envirostat On The Go sunscreen. Because of the water resistant nature of this sunscreen, you can run, jump, and play as hard as you want without worrying as this sunscreen does not sweat off. It is always safest to reapply any sunscreen or sun- block every 2 hours for maximum protection. The Aspect Envirostat sunscreen is free of any extra fragrances, just like many of Aspect’s other products. Aspect creates products with certified organic ingredients as often as possible to make sure their products are free of pesticides, parabens, perfumes, and dyes. 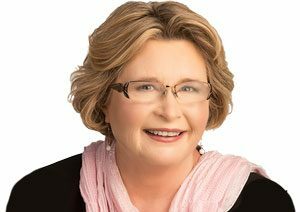 That means that just about everyone can use products like this from Aspect. High factor sun protection is so important when undergoing peels, fractional or IPL treatment, and it’s great for everyday use. 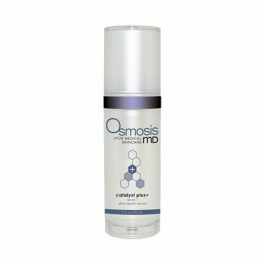 I love to use this when exercising as chemical sunscreens cannot be sweated off. I wish it was sold in a larger volume format. This is hands down the best sunscreen I’ve used. It seems a bit thick and greasy to start but then it absorbs into my skin. My make up applies the same as if I weren’t wearing it (and doesn’t slide off my face) and it doesn’t smell like sunscreen. Icing on the cake is that it is so well priced. 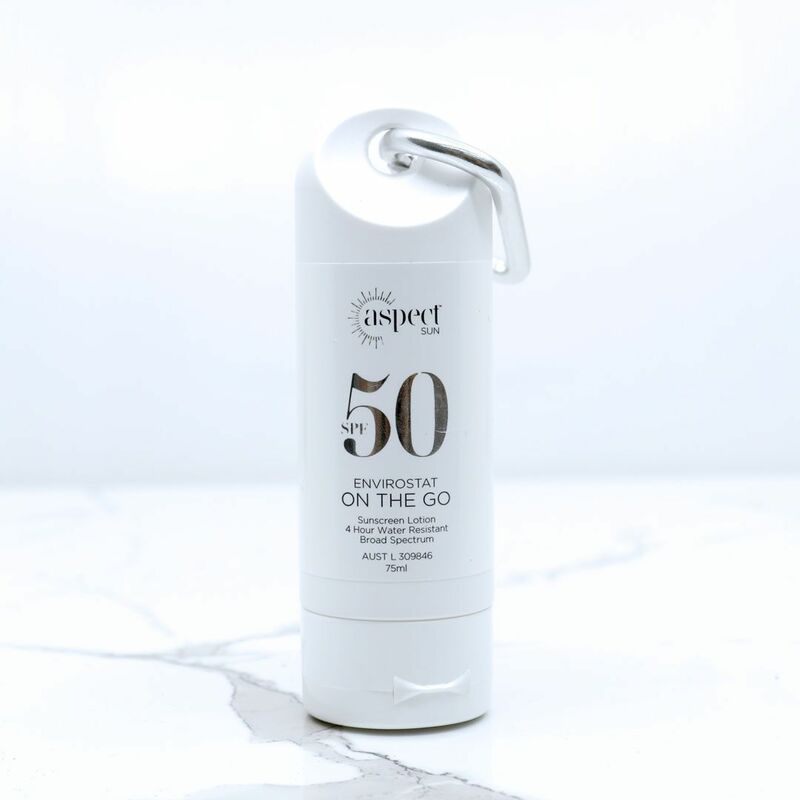 I have always been worried about using certain sunscreens on my face and décolletage, Aspect dry touch provides protection without clogging my pores, causing break outs or leaving my skin oily! Make up application over the top is not an issue as the lightness of this sunscreen almost acts as a primer! The size this currently comes in is perfect for keeping in the hand bag. As with one of the other reviews, can only hope to find this in a bigger size soon. Octocrylene, 4-Methylbenzylidence Camphor, Butyl Methoxydibenzoylmethane, Phenylbenzimidazole Sulfonic Acid.